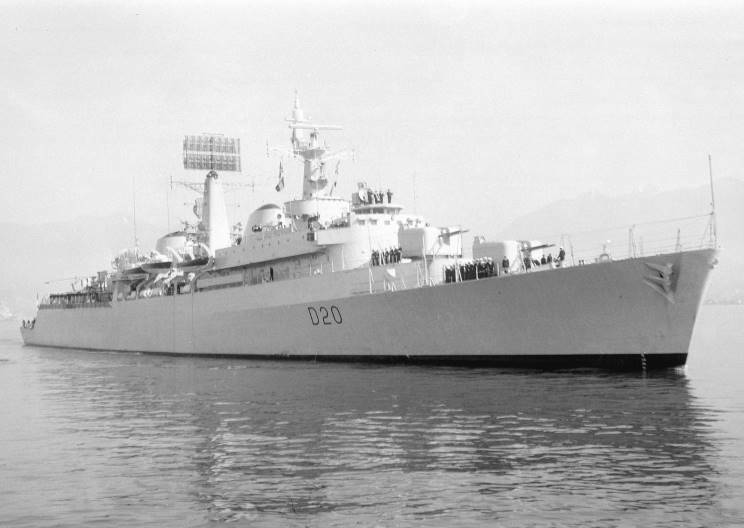 May 18, 1968: HMS Fife D-20 seen at Vancouver, B.C., Canada. 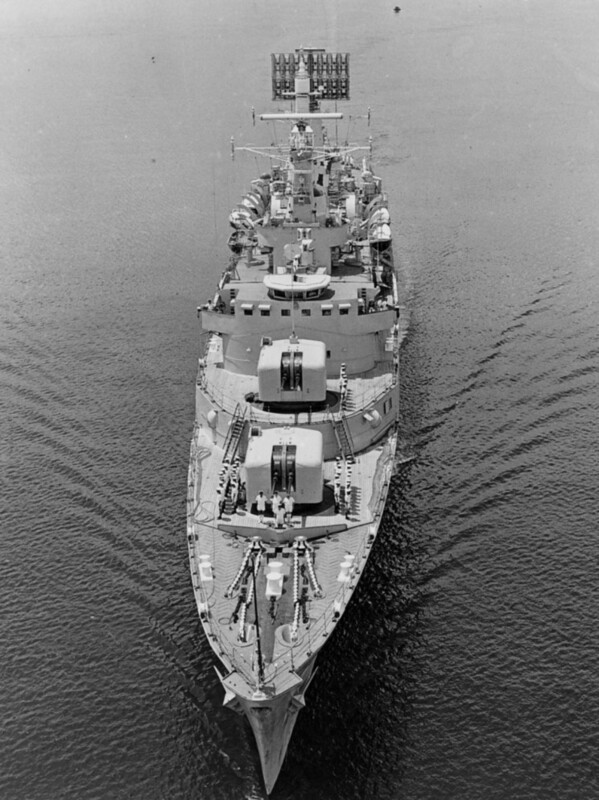 HMS Fife D-20 seen arriving at Singapore in 1970. 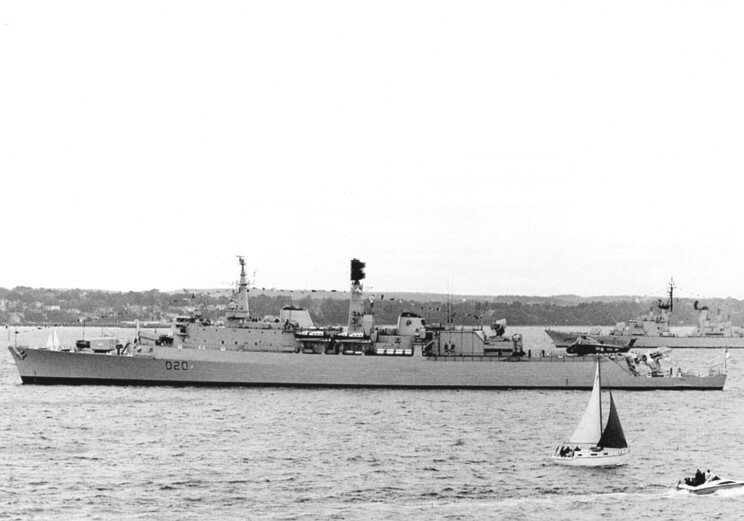 HMS Fife D-20 seen in the 1970's. 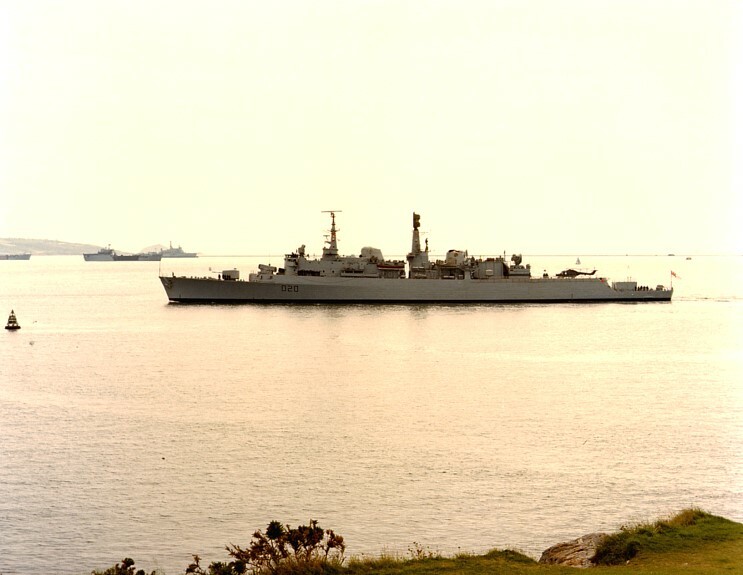 HMS Fife D-20 seen in 1977 in Plymouth Sound. 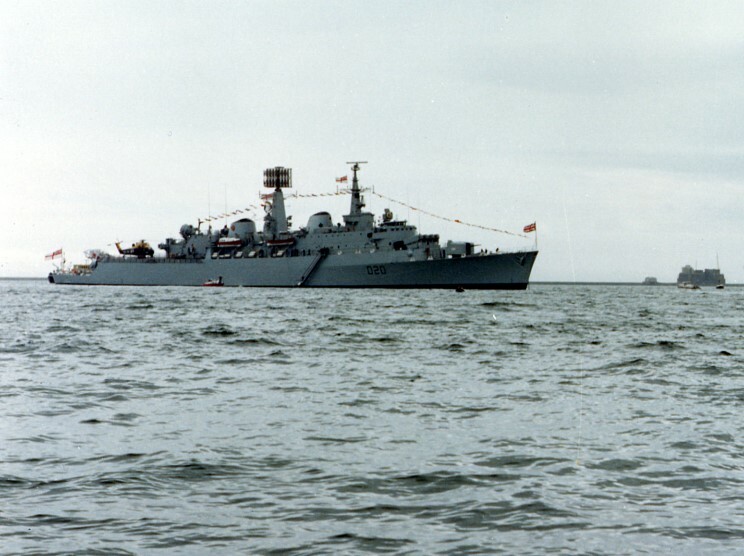 HMS Fife D-20 seen in 1985. This picture was taken from Mount Edgecombe Park, overlooking Plymouth Sound. Plymouth breakwater in background and the island known as Great New Stone in the far background, left (behind the other two ships). This island was used for target shooting of small weapons (20 and 40mm) from the RN shore gunnery school known as HMS Cambridge. 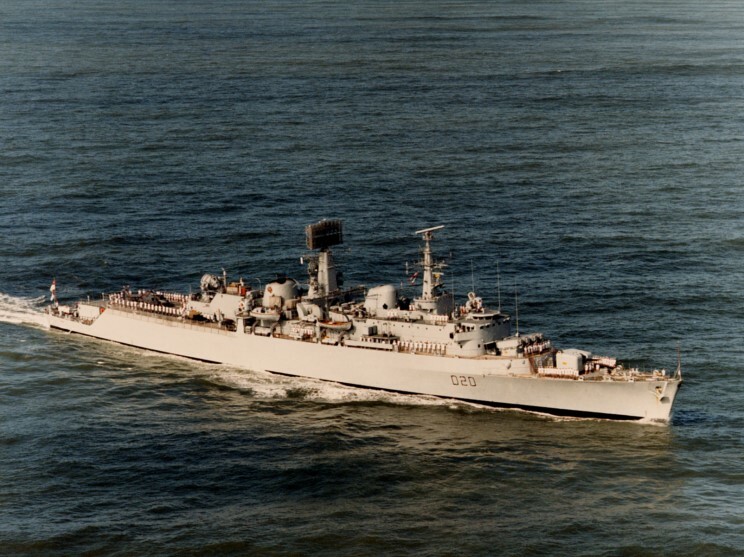 HMS Fife D-20 seen in 1986.